Judging from the early buzz, Wes Anderson’s latest movie Isle of Dogs, which opened the competition section of the Berlinale, is already a strong contender for the Golden Bear. 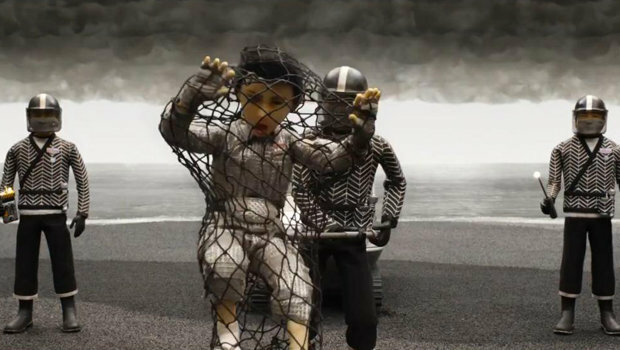 Telling the story of a boy’s search for his missing dog, this allegorical tale revisits the stop-motion techniques that made Fantastic Mr. Fox such a huge success. A topical story in today’s frayed political climate, it builds upon the humanist themes so eloquently displayed in TheGrand Budapest Hotel to create what may be Wes Anderson’s best film yet. In a movie world dominated by massive superhero franchises, it is getting harder and harder for independent filmmakers to create works that are as popular in the mainstream as they are critically acclaimed. Somehow Wes Anderson has carved out his own little space to command large budgets and use them to create his own personal and well received movies, both critically and economically. With Isle of Dogs earmarked to be his latest success, it should do extremely well in the box office. 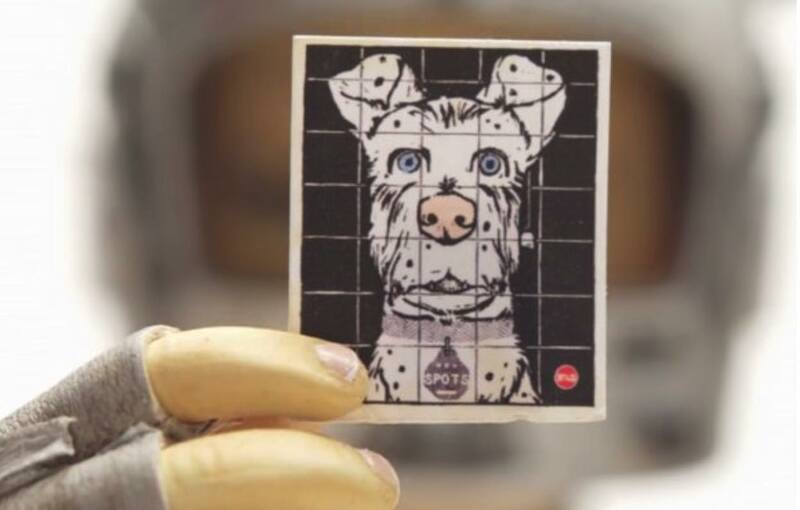 The question is: Just how far can Isle of Dogs go? In this piece we will evaluate its chances and give six reasons why it could easily be his most commercially successful movie. Comment below to tell us what you think! When a film breaks out of the mainstream that isn’t based on an existing property and is either a sequel or a remake, it always helps if it is a comedy. 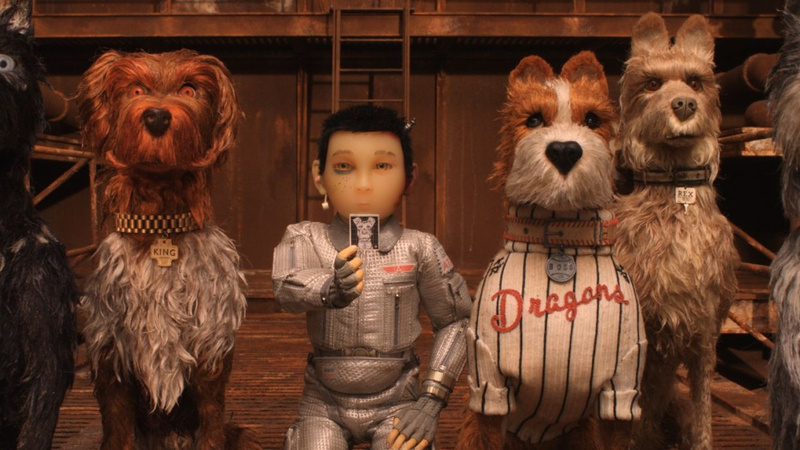 Wes Anderson’s films, in their quirky nature, have always been humorous, but never so much as in The Isle of Dogs. Here Anderson uses his personal style to create many multilayered visual jokes. What’s more important is that they are intrinsic to the story, making it feel natural and unforced. In addition the dialogue is razor-sharp, ribbing both dog and Japanese culture in order to give life to the story. It is also worth considering the massive appeal of animated films about animals. Movies such as The Secret Life of Pets, 101 Dalmatians and Zootopia were massive hits with large appeal across the entire world. They translate very well, and don’t require complicated overdubbing to be released in a different market. 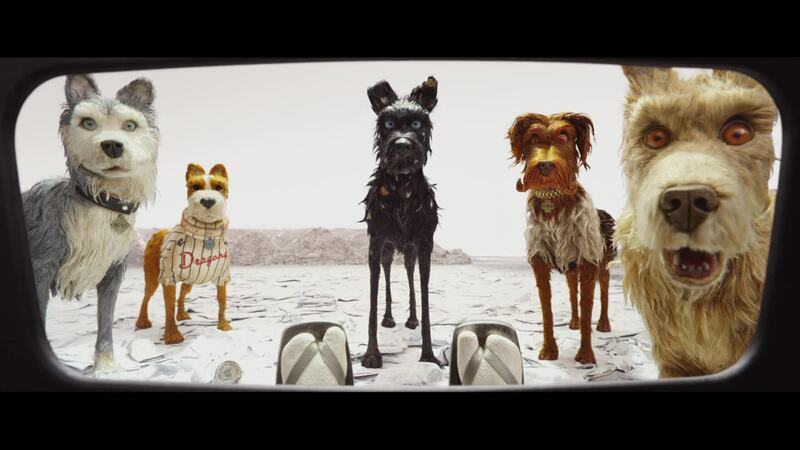 Isle of Dogs may be a little more esoteric than both those films, but it is still about an island full of dogs. If nothing else can bring both adults and children together, then surely a story about man’s best friend is an extremely good shout. As an American film set in Japan, there is a huge crossover potential to be had in this film. With Japan being one of the biggest film markets around, the film is likely to make a big splash over there too. Additionally, as it is inspired by the great films of Hayao Miyazaki, a man whose movies do incredibly well in his native Japan, Japanese audiences should be flocking right away to catch the film. This is not mere lip service either — many Japanese actors such as Kunichi Nomura, Ken Watanabe, Yoko Ono and Akira Takayama voice characters in the movie. This kind of move helps to boost the Japanese credentials of a homage such as this. A notable strategy ploy displayed by the distribution company is releasing the film in Japan earlier than it would usually premiere. Japan is famed for being one of the last countries to show American movies — preferring to work a long time on distribution and setting up film-specific pamphlets and brochures in order to make their movies an event. The fact that it is coming out in Japan a mere month after it has premiered in the USA is a bullish move that should be a good indicator of success. If it can crack the Chinese market too — although the country has a strict quota on what movies it allows — then it has the potential to become absolutely massive. The film boasts voice work from actors such as Breaking Bad star Bryan Cranston, the currently world-dominating Greta Gerwig, the current Best Actress frontrunner Frances McDormand, the very bankable Scarlett Johannson and the inimitable Jeff Goldblum, recently coming off the success of Thor: Ragnorak, as well as Anderson stalwarts such as Edward Norton, Bill Murray, Bob Balaban, Tilda Swinton and Harvey Keitel. With a voice cast as strong as this, and with so many different generations and strands of the film world all working together, there is something here to satisfy any type of moviegoer. Admittedly animated film means that you can’t actually see the actors behind their furry counterparts, but this should still be a strong draw in bringing out very diverse crowds. If the overdubs in foreign markets are equally performed by nationally famed actors — like when Disney overdubs Studio Ghibli movies — then Isle of Dogs could be even bigger. Cast your mind back to Wes Anderson’s career around Fantastic Mr Fox. After making the deeply personal flop The Life Aquatic With Steve Zissou and the rather slight and staid character drama The Darjeeling Limited, there was a sense that his career was floundering. With the premier of Fantastic Mr. Fox however, starring George Clooney as the beloved Roald Dahl character, audiences flocked to see it in their droves. The potential of stop-motion animation reinvigorated Wes Anderson’s career by giving him absolute control over his narrative. By revisiting stop-motion animation once again, having spent the past four years developing his narrative, Wes Anderson is aiming for the same broad popularity that made Fantastic Mr Fox so successful. In today’s nostalgia driven market, the sentimental appeal of going back to animated films about anthropomorphic animals should help Wes Anderson a lot here. Very few auteurs become popular over just one or two films. Sometimes it takes them a while to build up a body of work that cements them as a true original. There was some suspicion a few years back that Anderson couldn’t sustain his unique style much longer, but with his last three films it seems that he could go on like this forever. Now his style is so instantly recognisable that it has been parodied countless times. Instagram accounts such as Accidental Wes Anderson and countless parody YouTube videos are emblematic of how popular he now is. This popularity is also reflected in his box office receipts. With The Royal Tenenbaums an obvious outlier, grossing over $71 million worldwide back in 2001, the box office for Wes Anderson’s films has been on a noticeable upward trend since Fantastic Mr. Fox put his career back on track. With Fantastic Mr. Fox (2009) making $46.5 million, Moonrise Kingdom (2012) banking $68.3 million and The Grand Budapest Hotel (2014) reaching a remarkable $174.8 million, there is an expectation here that Isle of Dogs will top all of those to reach over $200 million worldwide. Additionally, and these things do matter, Wes Anderson is a serious draw with the academy too, with The Grand Budapest Hotel having been nominated for a whopping nine Academy awards, winning four. 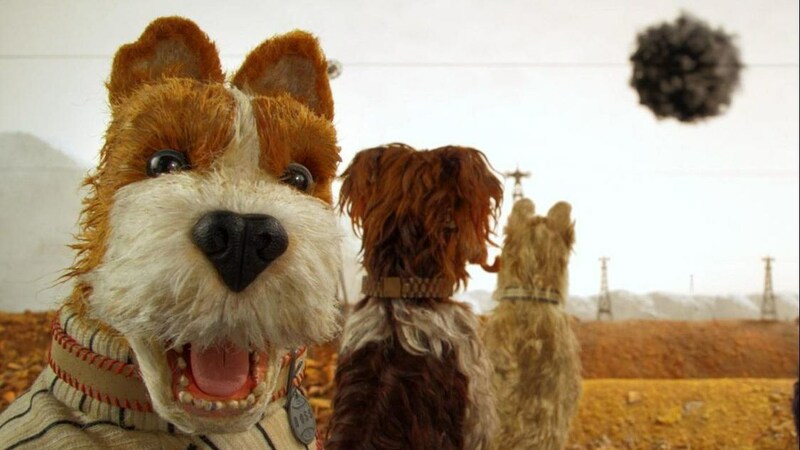 While Isle of Dogs’ success may be dependent upon reviews, his last three films all gained a Rotten Tomatoes score of over 90%, giving Anderson a good projection once this film finally hits wider theatres. With The Grand Budapest Hotel, displaying an anti-authoritarian message and elegiac tone towards humanity losing something in the wake of WW2, Wes Anderson introduced a political edge into his filmmaking. Isle of Dogs feels like no exception. With an authoritarian mayor running a propaganda campaign against dogs which leads to them all to be banished to a far-away island, there are some parallels between this and current events such as the refugee crisis, where Muslims and other non-white people are otherised by the media and stuck on tiny ‘processing’ islands. Most importantly for Isle of Dogs’ success is that this message isn’t too on-the-nose. In today’s complicated black-and-white political climate, any strong line one way or another can lead people to be put off a movie. Like Zootopia and its clear anti-racist message, this film should be able to appeal to people’s better nature while still couching it as a story about cute dogs. Its message teaches us to be kind to one another. With recent studies showing that more positive news does better among the general climate, considering the constant waves of negative stories that can populate our social media streams, this message should ensure Isle of Dogs’ massive potential at the box office. After all, who doesn’t love good dogs?